For many years, the Government has been trying to gain control over Makerere University. This attempt has always failed. Government and Makerere have a long-standing dispute over funding and ‘intellectual’ autonomy. 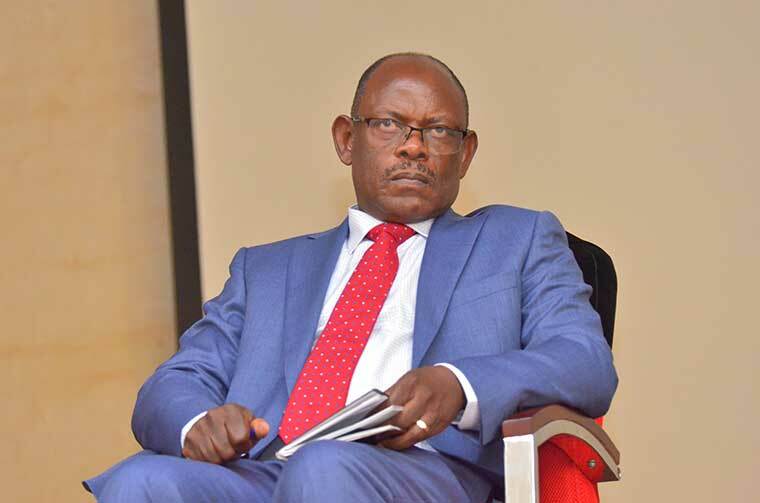 Recently, something unprecedented happened at Makerere…I heard President Museveni praising vice chancellor, Prof. Nawangwe for bringing discipline to the University. I think its the first time in the history of Uganda and Makerere. Under normal circumstances, a healthy relationship between Government and Makerere would be desirable, but when Government seeks to silence those who openly oppose Museveni, that harmony loses meaning. If there was any senior executive to be dismissed from Makerere, that should have been Prof. Nawangwe when he was deputy Vice Chancellor-Finance and administration. There are so many cases of financial impropriety about Prof. Nawangwe when he held that office. I hope they will soon come out. I think he has chosen his stance of ‘cooperating’ with Government to protect himself. Prof. Ddumba would have dismissed Nawangwe many times for insubordination and indiscipline but Ddumba chose legitimate ways of resolving conflicts. That’s how institutions work. He also had a better understanding of the ‘politics’ between Makerere and Government. He tried to stay clear of this. And so did others before him. In the past, lecturers, students and even ‘strangers’ would hold political discourse at Makerere without inteference. This did not stop Makerere from maintaining its position as the best in the region. Many student leaders started their journey at Makerere. But this kind of political interaction nolonger takes place. Undermining human rights should never happen anywhere least of all Makerere. For the first time, students and lecturers who speak about what they believe in are dismissed from the University. When did criticism become indiscipline? In Prof. Nawangwe, President Museveni has found a soft spot to control Makerere which he has always blamed for being against his regime. President Museveni could order everyone else in Government but Vice Chancellors at Makerere would never take orders regarding the way Makerere operates. In 2002, amidst insecurity and murder of students, soldiers were deployed to guard the university, Prof. Ssebuwufu asked Prof. Nsibambi that they should be withdrawn. All well meaning individuals must resist Prof. Nawangwe’s highhandness towards students and staff of Makerere. He is a spirit-medium, implementing another individual’s plan. At the centre of Makerere’s contradictions is also another issue-money. There is alot of revenue from private sponsored students, and other internally generated revenue, if this is not resolved, Makerere coukd easily degenerate into chaos. At the end of the day, the people involved in these wars havelived their lives, they have benefited from Makerere’s strong academic training, now they seek to undermine its existence. That’s affects the future generations. Everyone involved in this must always remember, ‘We build for the Future’. Is Prof. Nawangwe doing this?